Called "The Einstein of pop music," he's one of the most influential artists of the 20th century. Bob Dylan: iconic poet and singer with a long, restless career, has surprised his fans and observers many times. Dylan shunned the label "protest singer," but in fact his songs were a powerful force in the protest movement of the 1960's. In the decades since, the artist and his artistry have gone through many changes, while with the "Never Ending Tour" that began in the late 1980's, his concert activity has only increased over the years. November 2017 marks the 50th anniversary of Rolling Stone magazine. The American publication became an instant hit, finding an audience among a generation that was inspired by the likes of the Beatles, Bob Dylan and the Rolling Stones. Over the last half century, it has chronicled pop culture, and earned a reputation for its unique mix of music coverage and political journalism. Who are the potential laureates for the prestigious literary award? After last year's controversy surrounding Bob Dylan, the Swedish Academy is expected to go with a more traditional choice. 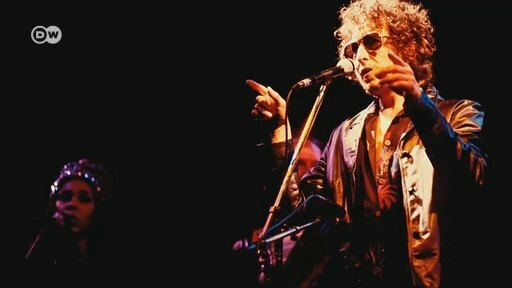 Last year's Nobel literature laureate, US songwriter Bob Dylan, has finally handed in the mandatory lecture. In it, he talks about singers and novelists who influenced him, and how his songs relate to literature. Almost six months after he was announced as the winner of the award, legendary US singer-songwriter Bob Dylan has formally accepted his Nobel Prize in Literature. The ceremony was a small, private affair in Stockholm. After a great deal of speculation about the elusive musician's required Nobel lecture, the Swedish Academy has announced that Bob Dylan has committed to picking up his Nobel Prize in Stockholm. An icon for over half a century, Patti Smith remains an enigma to those who try to pigeonhole her. At 70 years young, Smith continues to find poetry in unlikely places. Happy birthday to the reluctant Godmother of Punk! We met British essayist Tim Parks to discuss literature, German readers and Bob Dylan. His book "Where I'm Reading From" has just been published in German. Laureates have gathered for this year's Nobel Prize award ceremonies. Peace prize winner and Colombian President Juan Manuel Santos said his country could serve as an example for other conflict-ridden nations. Since the announcement of his Nobel Prize win, Bob Dylan has shown little interest in the award. His fans were not surprised. But the Academy wasn't too thrilled. Bob Dylan won't attend the Nobel Prize for Literature ceremony in Stockholm. Patti Smith will sing a song by the laureate instead. Here's why she's a worthy representative. Patti Smith will croon in place of Bob Dylan at the Nobel Award ceremony on December 10. Dylan himself will not be attending the event in Stockholm. No, Bob Dylan's cancellation isn't a surprise, says DW culture editor Stefan Dege. The text he could be sending to Stockholm on December 10 - instead of himself - has already been prepared. It took him two weeks to acknowledge that he'd won the Nobel Prize for Literature, and now Bob Dylan has said he will not attend the award ceremony on December 10 in Stockholm.